Someone spotted the pit bull in a lot near a busy road in Harrisburg, Pennsylvania. 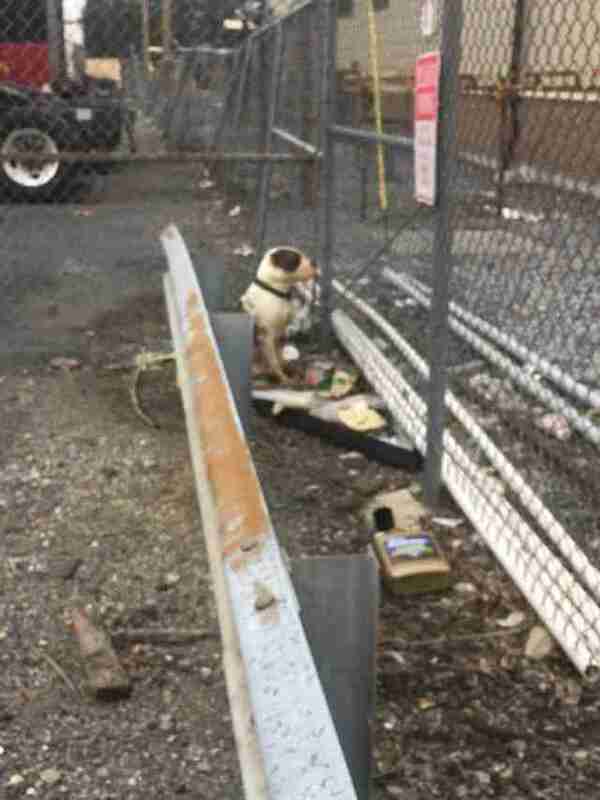 He was all alone, and he’d been sitting in front of a chain-link fence for at least an hour. Most likely, someone had dumped him there. 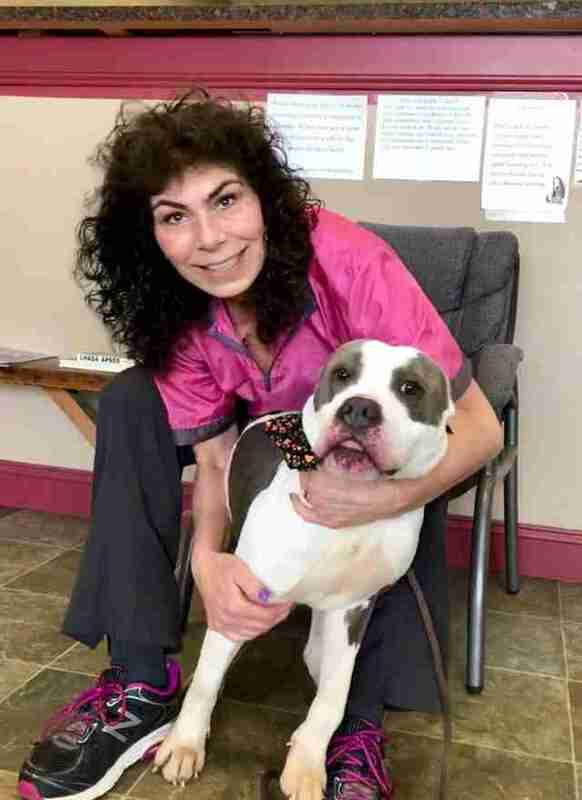 Last Thursday, Janine Guido, founder and president of Speranza Animal Rescue, received a phone call about the pit bull along with a photo — and she immediately leapt into her car to get him. 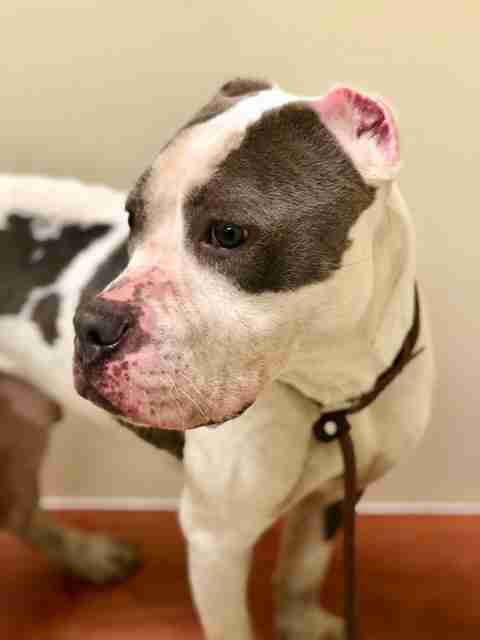 “Every time you get called in for a stray, your adrenaline is pumping and you’re not sure if they’re going to run off or anything,” Guido told The Dodo. 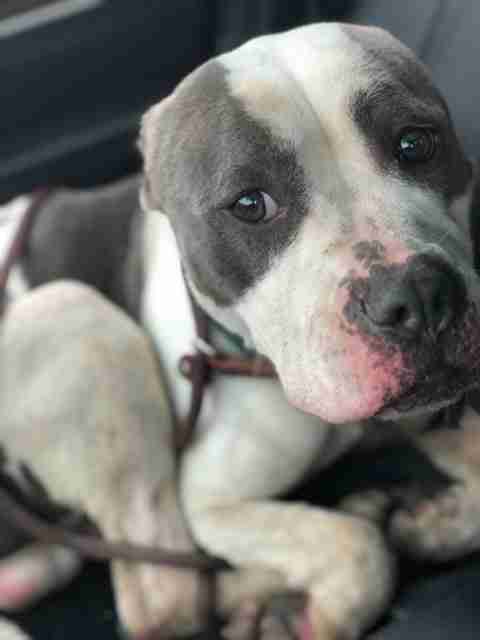 When Guido arrived at the site, animal control was already there, and the officer (whom Guido is on friendly terms with) had caught the dog and put him in his truck. 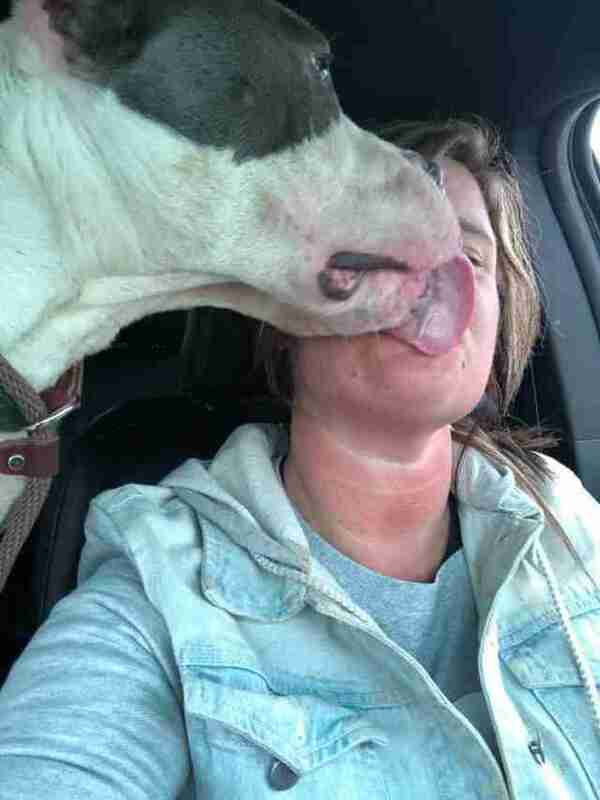 The officer obliged and opened the back of his truck, revealing a trembling pit bull. The dog, whom Guido named Vincent, also had cropped ears, and whoever had done it had removed most of the dog’s ears. Guido asked the officer to let her take Vincent out of the truck — and as soon as the dog emerged, his entire demeanor changed. Besides having terribly cropped ears, Vincent was covered in fleas and he was underweight — but Guido made sure he got the help he needed. After a visit to the vet, Guido took Vincent back to the shelter run by Speranza Animal Rescue, where he’ll live until he recovers from his ordeal. Each day, Guido sees an improvement in Vincent. Eventually, when Vincent is ready, he’ll be put up for adoption. When Vincent is eventually up for adoption, you can contact Speranza Animal Rescue if you’re interested in him. 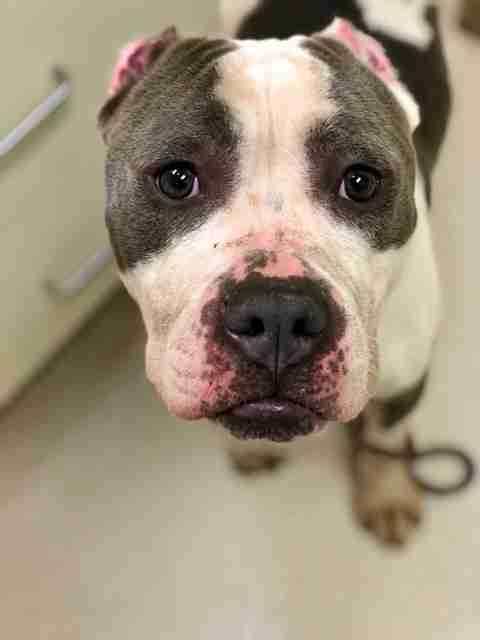 You can also help the rescue group save more dogs like Vincent by making a donation.